Meet our highly qualified, friendly and professional team who will assist you every step of the way. On the forefront of innovations in the field of Microsurgical Vasectomy Reversal and the Open Ended Vasectomy, our dedicated team can guide you through your treatment every step of the way. Dr Lekich is the medical director of Metrocentre. He is a Queensland medical graduate with a 15-year microsurgical background working in the field of ophthalmology and retinal microsurgery, hence his love of microscopes. He was originally pursuing a career as an eye specialist, working in a retinal clinic whilst studying for his basic ophthalmic exams, and then changed his pursuits from eye surgery to the treatment of varicose veins using endovenous laser and ultrasound guided sclerotherapy (hence his love of ultrasound) and becoming a fellow of the Australasian College of Phlebology. This came about due to the serious blood clot his then-wife developed in varicose veins during pregnancy. It was his wife’s necessity to get off the oral contraceptive pill due to her venous disorder that led him to a decision for a vasectomy and after much personal research to Professor Owen’s team to perform this as an Open Ended Vasectomy. Professor Owen then suggested that Dr Lekich try out for a position as his successor. After attending master class sessions with Professor Owen at the Microsearch Foundation, and it was determined that he was suited to perform exacting microsurgery, Professor Owen undertook a personal full-time three (3) training of Dr Lekich at the microscope. This involved over 200 hundred sites performing the Owen 3 Layer Microsurgical Vasectomy Reversal pioneered and perfected over 40 years. This also involved the management of Post Vasectomy Pain Syndrome and the Bypass Epididymovasostomy (EV) as per Professor Owen’s account only mastered by few in the world. He retired his vasectomy reversal practice of 6000 cases to Dr Lekich when he felt that it was like looking at his own fingers down the microscope. Dr Lekich has had a close working and mentorship relationship since 2007. Professor Owen is a consultant for Metrocentre. Both Earl and Chris are close friends. 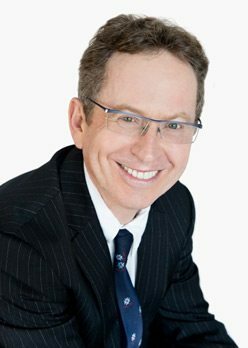 Apart from succeeding Professor Owen and Dr. Bruce Errey, Dr. Lekich was approached by Dr. Walters to succeed his Victorian Open Ended practice of 30 years and over 15,000 vasectomies. Letters of Succession have been written by all three luminaries (Professor Earl Owen, Dr Bruce Errey and Dr Barry Walters) outlining their assessment of Dr Lekich’s contribution to the field of Vasectomy Reversals and the Open Ended Vasectomy Reversal. It is not possible to post these letters as the Medical Board of Australia does not allow “Testimonials”, even if they are from pioneers in the industry outlining the training and special attributes of an individual, as we learnt from an anonymous letter sent to the Board prompting us to remove the letters from our websites. Apart from the study of medicine, whilst working full time, Dr Lekich has furthered his university education completing a postgraduate law degree (Juris Doctor) from Bond University in 2004 inspired by the medical indemnity crisis that forced many medical practitioners from practice. He then completed the Bar Practice Course at the Queensland University of Technology in 2005 and was admitted as a Barrister in the Supreme Court of Queensland in 2005. He subsequently completed his Masters of Business Administration at Bond University. He has been an Assistant Professor at Bond University Medical School. He then completed his fellowship training with the peak body for the treatment of venous disorders, the Australasian College of Phlebology where he has contributed to promoting postgraduate training and standards by being a Board Member, Chair of the Australasian Medical Council Specialist Recognition and Accreditation Committee, a member of the Ethical Standards and Conduct Committee and a member of the Continuing Professional Development Committee. He obtained certification and diploma training in ultrasound. Dr Lekich is passionate about medical training, having been trained and mentored by four preeminent surgeons and medical experts that he succeeded. 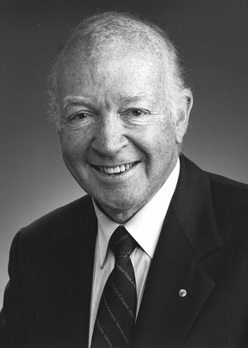 Of particular note is Dr William Campbell, vascular surgeon, and Professor Earl Owen, the pioneer of microsurgery who performed the first hand and double hand transplants and the first microsurgical vasectomy reversal. Now a preceptor, supervisor and mentor himself, Dr Lekich understands the importance of comprehensive medical training at a site that facilitates demonstrative workshops. Such is his passion for his work, Dr Lekich completed the gruelling Peaks Challenge in August last year, cycling 235km through the Gold Coast Hinterland and raising $2000 in donations to support the Phlebology Foundation of Australia. Dr Lekich has since committed to completing all of the upcoming Peaks Challenges. Those wishing to donate to this foundation can do so via http://www.phlebologyfoundation.com/. Dr Lekich adores his three children and influencing them to be the best adults they can be. He is a keen surfer, golfer, water and snow skier. Professor Owen put limits on his pursuits of dangerous sports as he does not want all the investment in training to be lost with a hand injury. He loves music and will have music playing at every operating list. Playing the drums is about the only risky activity his hands are involved in these days. A.O., Lg d’Hon, D.Sc., MB.,BS. (Syd) M.D.,M.S., FRACS., FRCS., FICS., FRCSE., FACBS. Professor Owen was World President of the International College of Surgeons (I.C.S.) from 1996-1998. This ex-concert pianist graduated from The University of Sydney and studied Paediatric Surgery at London’s Great Ormond Street Hospital, researching Microsurgery for premature infants as its Senior Registrar in the 1960s. He co-developed the Zeiss Double motorised Microscope, new micro instruments and techniques introducing small vessel and nerve anastomoses for infants as well as successfully performing some of the earliest successful amputated finger and limb replantations. As a very early pioneer of general Microsurgery he lectured in over 80 countries and given demonstration operations in over 40. He is famous worldwide for his over 100 “Hands On” micro-workshops, introducing this specialty to thousands of Surgeons. He led some College Operating Surgical teams into third world countries, and developed an association with the World Health Organisation. He pioneered the microsurgical vasectomy reversal and has performed the procedure on almost 6000 men with an overall actual baby birth rate of 85%. He boasts 40 years of microsurgical research and surgical experience. He was passionate about the Owen Three Layer closure, a meticulous technique maximising the success of a reversal procedure. Further he always preached the overwhelming merits of the open ended vasectomy technique to maximise a successful reversal and minimizing the risk of post vasectomy pain syndrome. In 1998 he organised and led the International Team that performed the first successful Hand Transplantation followed in January 2000 by the first successful Double Hands transplant. His Microsearch Foundation of Australia seriously contributed to transplantation immunology and new surgical procedures. Prof Owen was noted as an entertaining and informative Lecturer on Microsurgery, Transplantation of Composite Tissues, Laser Surgery, Surgical Philosophy, The Cellular System of our body, and Music and Medicine and Surgery. He has run the Sydney Musician’s Clinic since the mid-1970s. Wherever he was, music played, in Theatre, Laboratory, Office, car, or home. Andrew Stirling is the latest doctor to join the Metrocentre team. Initially studying as a research scientist and working at the Australian Institute of Marine Science, he then completed a postgraduate teaching qualification. However he ultimately decided on a Medical career one year into a PhD. on the immunology of reproduction. He had intended to return to pure science but has found medicine holds sufficient challenge. He has worked in remote regions, for example as director of the Western Province Medical Services in the Solomon Islands under contract to AUSAID. His surgical experience in Australian Hospitals includes obstetric services and plastic surgery, whilst in remote regions has been called on for anything from life threatening crocodile attacks to emergency hysterectomy (following rupture of the uterus during birth). He previously performed vasectomies in Tasmania where he was mentored by Dr Tony Chambers, however more recently he has worked with Dr Lekich after becoming convinced of the advantages of open ended vasectomy. Although he has a successful practice of his own treating venous disease, Dr Stirling was convinced to join us after seeing the rigorous standards of the procedural work and realising that it matched his own ethical standpoint. He has an interest in outdoor activities such as scuba diving, bushwalking and kayaking with his last significant effort being a Bass Straight Crossing in Jan of 2011. He hopes to go to the Sahara in Mali next year – trekking to the iconic Timbuktu. Dr Chris Bradshaw is a Senior Specialist Anaesthetist who has a very successful Anaesthetic Practice in Brisbane and on the Gold Coast. Chris began his Medical career by winning, by academic merit, the Wynne scholarship to study medicine at the University of Queensland. Dr Bradshaw then spent two years at the Royal Brisbane Women’s and Children’s Hospitals as a general Hospital Doctor. Chris was then offered a highly sought after position at the Princess Alexandra, Mater and Greenslopes Hospitals as an Anaesthetist in training. After qualifying as a specialist in anaesthetics, Dr Bradshaw was then offered a job in London at the prestigious and world leading St. Mary’s Hospital in Paddington. Chris was paid by Queensland Health to relocate back to Brisbane and work full time at the Royal Brisbane, and Women’s and Children’s Hospitals as a Specialist Anaesthetist. Since then, Chris’s Private Practice continues to prosper and now constitutes the vast majority of his work. Chris has a special interest in Anaesthesia for day surgery. He ensures that all his patients remain pain free during procedures and feel fully recovered afterwards. He continues his medical education attending lectures and conferences locally and worldwide, keeping up to date with all aspects of Anaesthesia. Chris is a devoted husband and proud father of three children. He shares a passion for cycling with his son and youngest daughter, and a fascination with all things mechanical with his oldest daughter. Chris has an eclectic range of interests. He has competed in the Noosa triathlon several times and has successfully completed two rounds of the World Mountain Bike Championships. Chris enjoys renovating interesting houses but they are never finished because he is constantly inspired to improve them! Chris has submitted for publication a scientific paper titled “Transconjunctival Approach to Peribulbar Block” which should be published in the near future. To discover more about the highly experienced team at Metrocentre, or to arrange an appointment with Dr Lekich, please contact us.